Welcome to Overheard in Product—a series where we round up all of the tantalizing conversations from product folks that you may have missed on the web last week. First things first, Sarah Doody asked her community what spurred them into choosing UX as a career. From the sound of the answers, UX designers were most inspired by psychology (almost everyone mentioned it! ), a natural curiosity, and a desire to improve people’s day-to-day experiences . 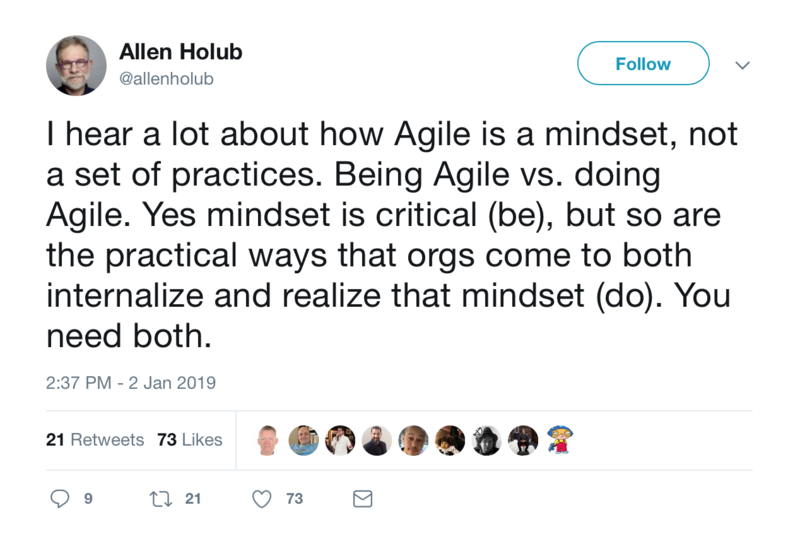 Next up, Allen Holub discussed whether Agile is a mindset or a method. Spoiler: It’s both. The thread that followed was mainly centered around what comes first—the being or the doing—and folks were split on how to implement. 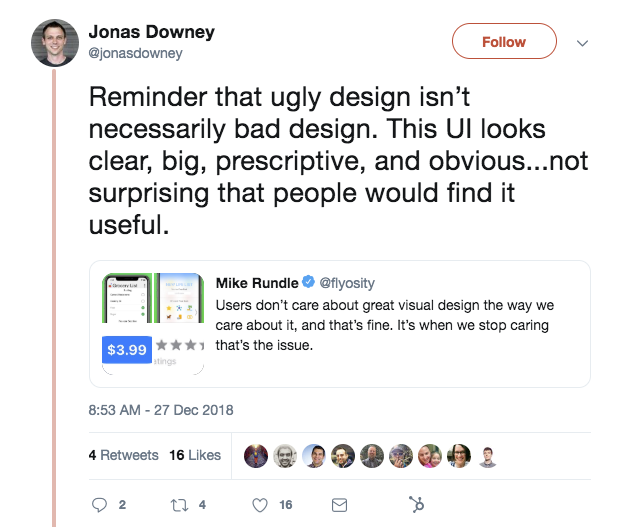 Jonas Downey reminded us with a retweet from Mike Rundle that form follows function—even in digital design. We had some internal debate about if these designs were actually ugly or if they are simply not cutting edge. Some folks asked: Isn’t being clear, big, and prescriptive a beautiful thing in and of itself? 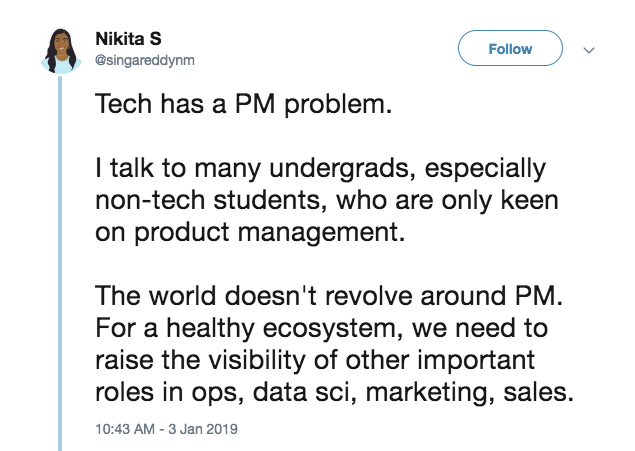 Nikita Singareddy is urging young folks to think about tech jobs beyond product management. Other folks in the conversation cited the glamorization of the PM role and overall misconceptions what it really entails as the biggest contributors to the phenomenon. ✨ Bonus: All that glitters is ... WHAT? WHAT IS IT?! Ok, this isn’t product-related, but it’s a mind bender for sure. The psychology of humanity’s obsession with glitter sure is intriguing. But that’s not what has folks talking. 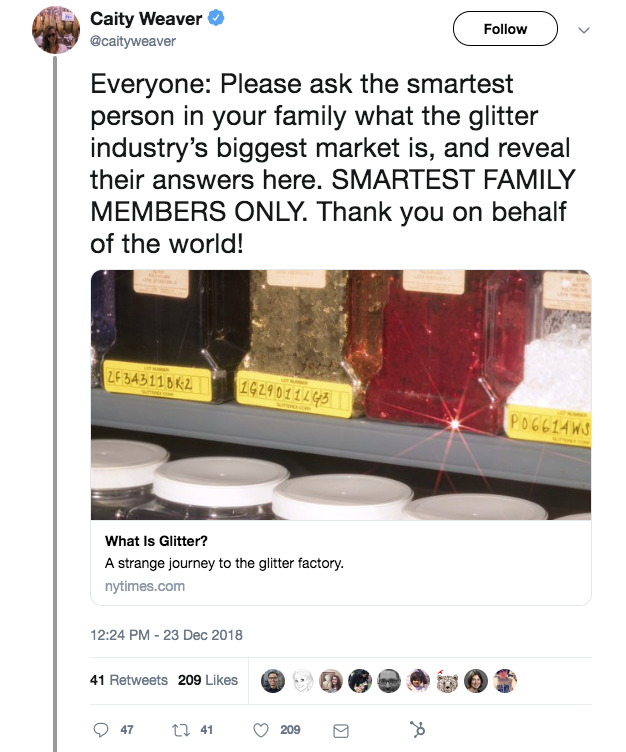 What’s really capturing people’s imaginations is that no one knows who the biggest buyer of glitter actually is. Seriously. Even the author is stumped. That’s led to some wild speculations. Our personal favorites are toothpaste manufacturers or the defense department—but feel free to tweet at us (@Appcues) with any and all of your glitter-spiracy theories. Oh, and if you want to expand on any of the product topics—get in touch. We’d love to chat!